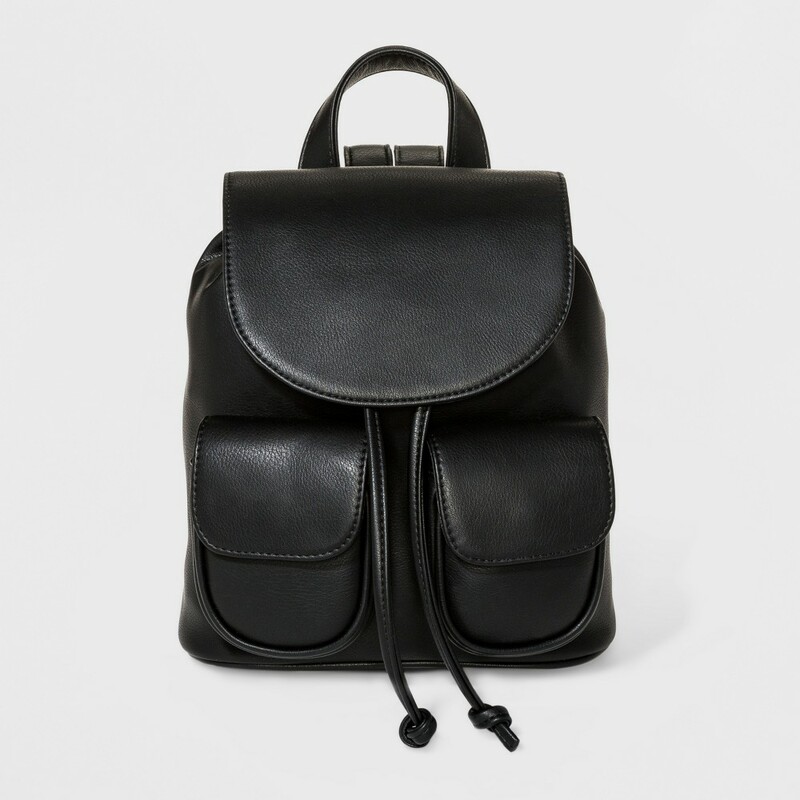 Mini drawstring backpack with multiple interior pockets for organized storage. Features two flap pockets on the front for easy access. Finished off with adjustable shoulder straps and a top handle. Color: Black. Gender: Female. Pattern: Solid. 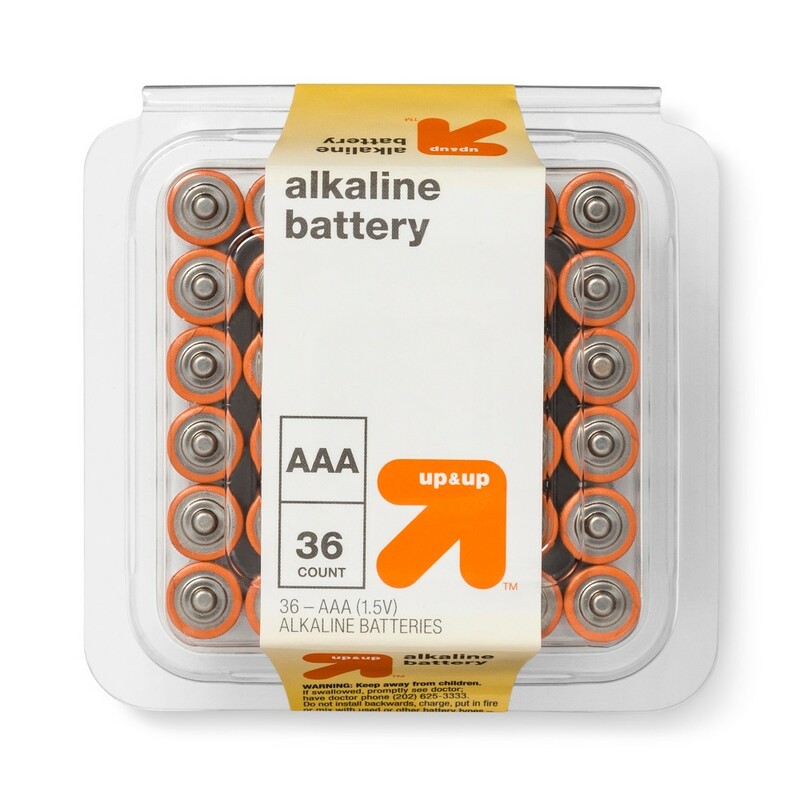 This 36-Count of Aaa Batteries from up and up will help you stay prepared for everything, from power outages to simply powering up your devices. These Aaa alkaline batteries hold power for up to 10 years in storage, and with 1.5 volts each, they're perfect for charging and fueling your compatible electronics. 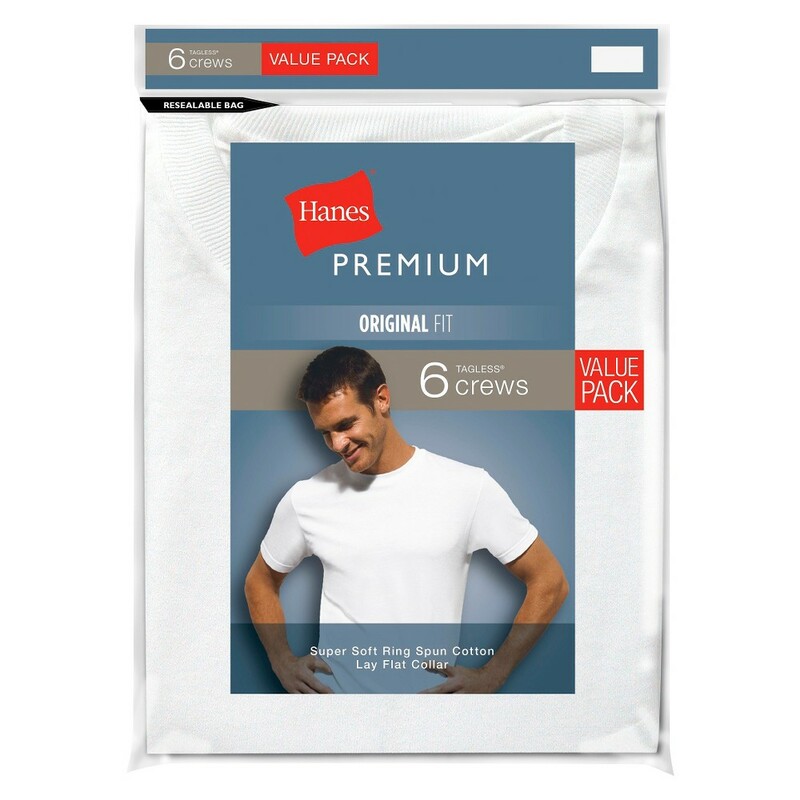 Hanes Premium Men's White Crew Neck Tees come in a convenient pack of 6. These undershirts deliver premium, all day comfort with super soft ring spun cotton fabric. Hanes Men's Tagless crew neck T-Shirts are designed with a durable, Lay Flat Collar for added comfort. These Hanes T-Shirts feature. 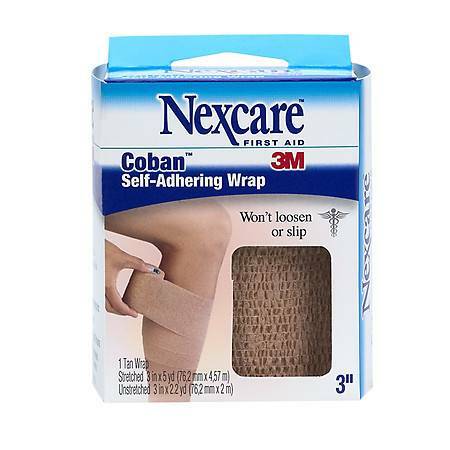 Wicking properties help pull moisture away from your skin to keep you dry and comfortable. Available in sizes SM - Xxl. Size: M. Gender: Male. Age Group: Adult. Pattern: Solid. From power outages to simply powering up your devices, you can stay prepared with this 48-Count of AA Batteries from up and up. 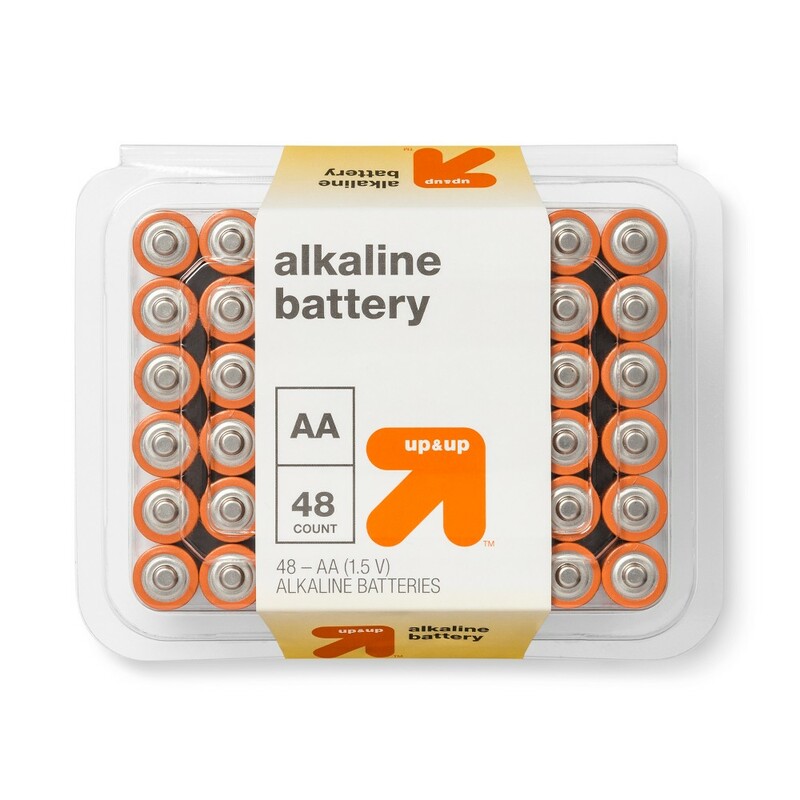 These AA alkaline batteries hold power for up to 10 years in storage, and with 1.5 volts each, they're perfect for charging and fueling your compatible electronics. 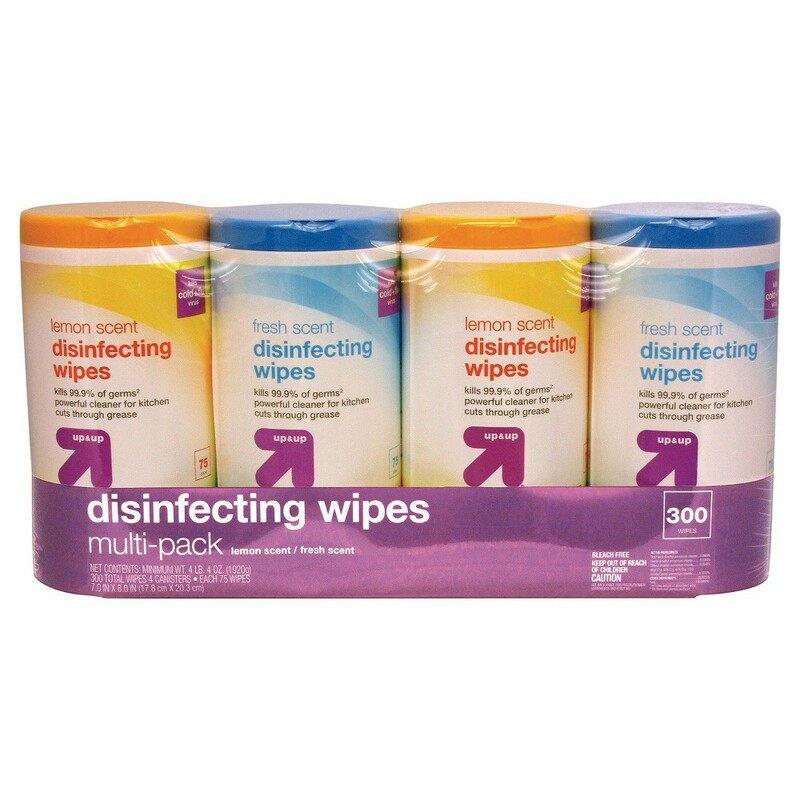 Stock up your home, office, car, camper, or any spot with the Disinfecting Wipes, Lemon and Fresh Scent, 75 ct, 4 pack from up and up. This value pack of household wipes kills 99.9 percent of germs and is a powerful cleaner in the kitchen, cutting through grease. 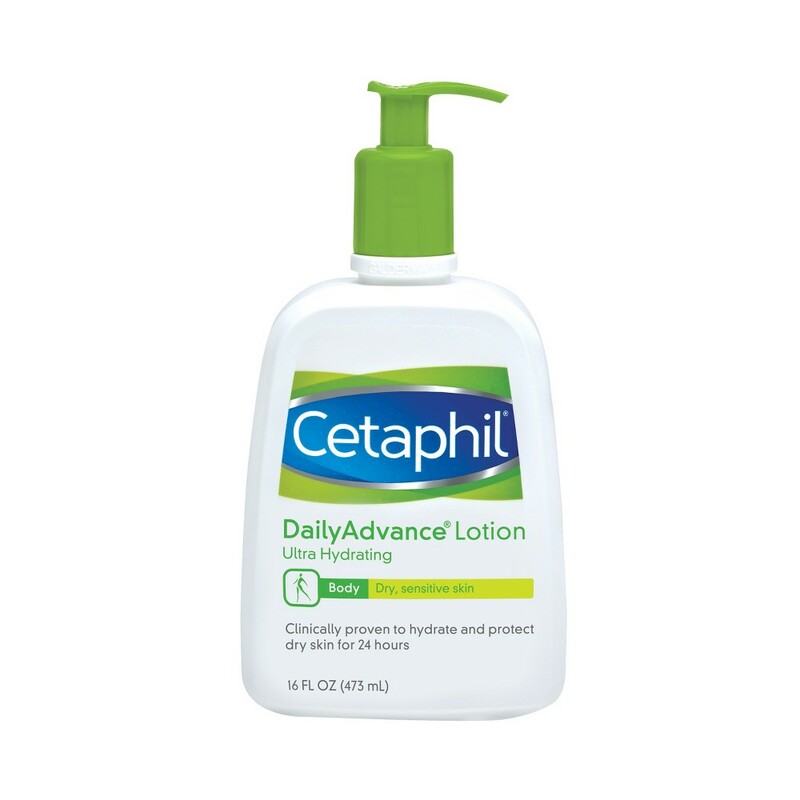 Bring the moisture back to dry, sensitive skin with Cetaphil DailyAdvance Ultra Hydrating Lotion. This creamy lotion contains Epidermal Replenishing Complex5, a unique blend of five ingredients that work together to enhance hydration and allow the skin to retain moisture. This luxurious lotion is not greasy and is fragrance-free. The gentle formula means it's okay to use as often as needed. Gender: Unisex. 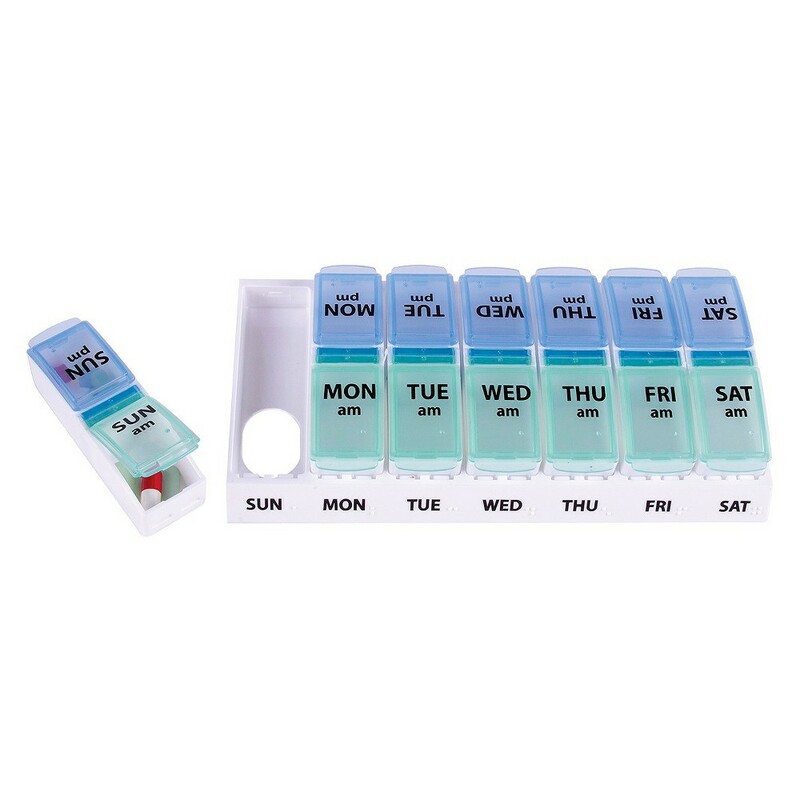 Pop-out design lets you organize your medication for the week, then pop out just one day's pills to carry with you. Each side opens separately to prevent spills. Size: 1 ct. Color: Yello & Blue. 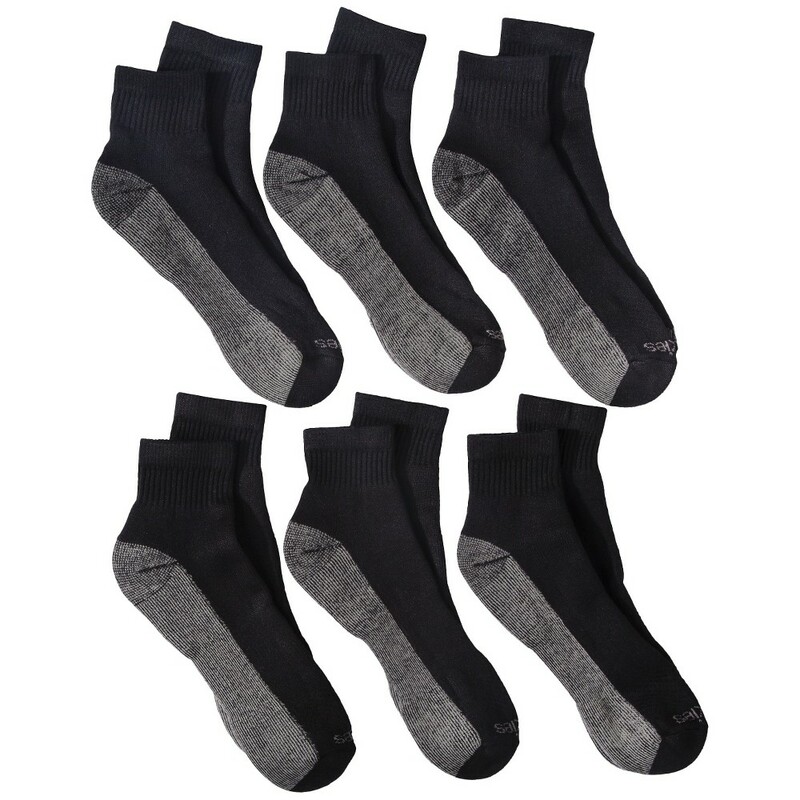 Moisture-wicking fabric and an ankle cut make the Dickies Men's 6pk Dri-Tech Ankle Socks a men's clothing essential. These athletic men's socks come in a 6-pack including a week's worth of pairs. A reinforced bottom and dri-tech technology make these ankle socks ideal for the gym, sports, jogging or other workouts. Machine washable. Size: 6-12. Color: Black/Gray. Gender: Male. Age Group: Adult. Pattern: Solid. Material: Cotton. 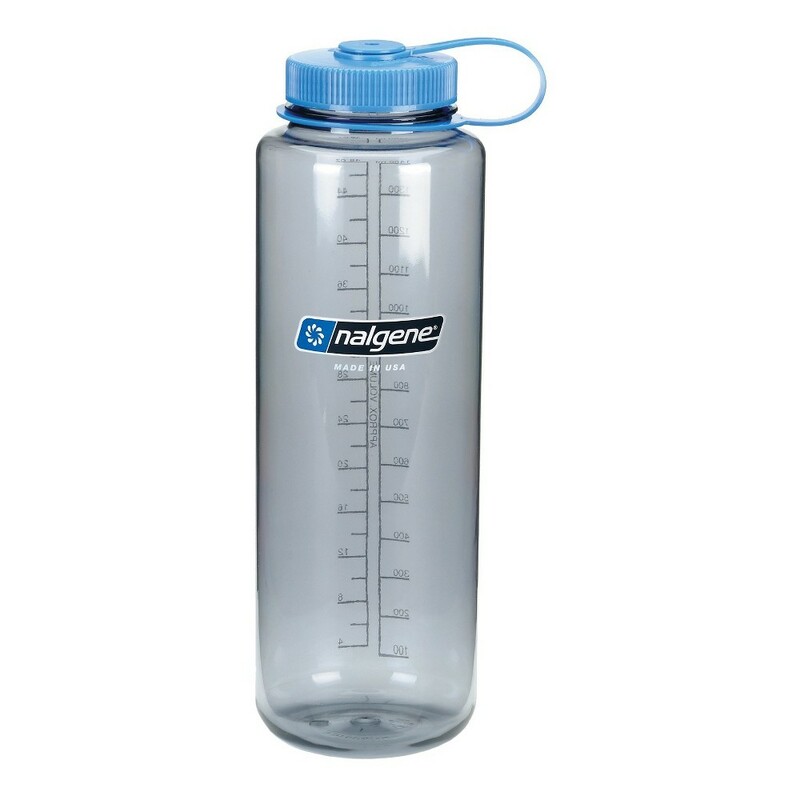 The Nalgene Wide Mouth Water Bottle - 48oz. makes it easy to stay hydrated while on-the-go. The convenient wide-mouth design accommodates ice cubes, water filters and makes hand washing a breeze. Paired with its generous 24oz capacity and super-tough Tritan copolyester construction, this water bottle is ready to be by your side for the long haul. Color: Gray. Age Group: Adult. 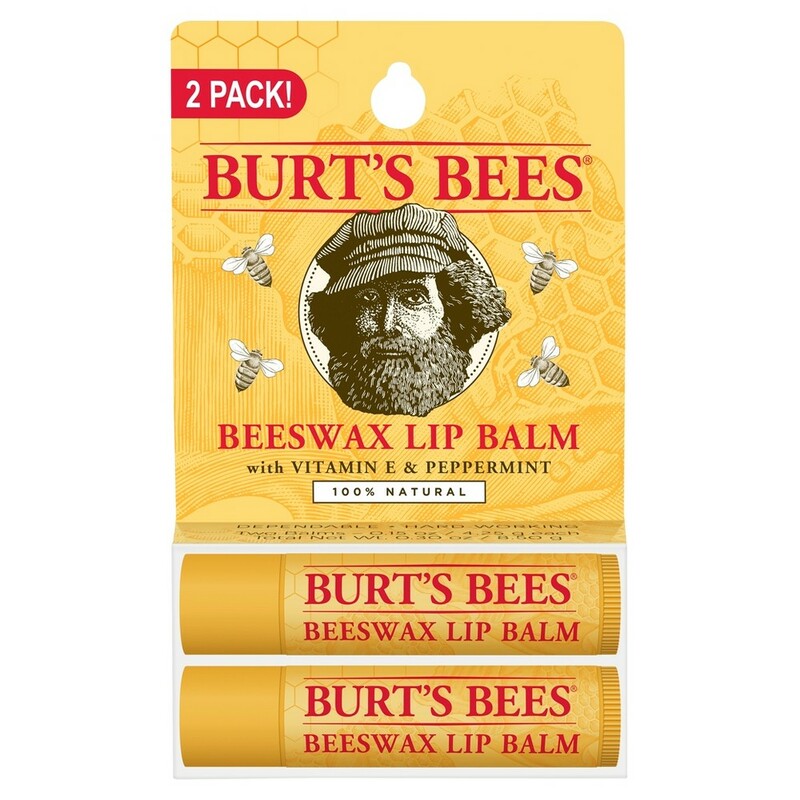 Burt's Bees Moisturizing Lip Balms nourish and make your lips feel luxurious. Infused with powerful fruit extracts and Beeswax to richly moisturize and soften lips, the nourishing oils and butters will make your lips juicy, happy and healthy. With a matte finish and moisturizing balm texture, this tint free tube of soothing lip balm glides on smoothly to nourish dry lips while keeping them revitalized and hydrated. Conveniently tuck a tube into a pocket or purse, so that you can keep natural, nurturing lip care handy. This 100 percent natural beauty product is free of parabens, phthalates, petrolatum and Sls and will beautify and revitalize your lips. Use these natural Burt's Bees Moisturizing Lip Balms to make lips feel their best. Usage Directions: Apply lip balm liberally to your lips as often as needed, particularly in dry, cold or windy conditions. 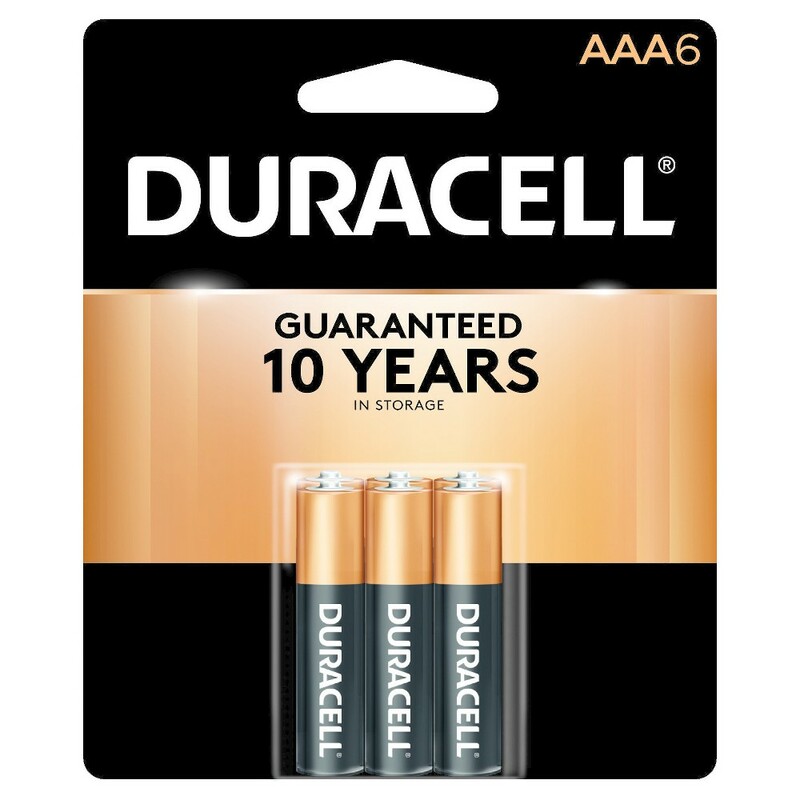 The AA CopperTop Alkaline Batteries from Duracell are longer lasting with a 10-year storage guarantee. Duracell batteries retain power for extended periods of time because of the company's Duralock Power Preserve Technology. 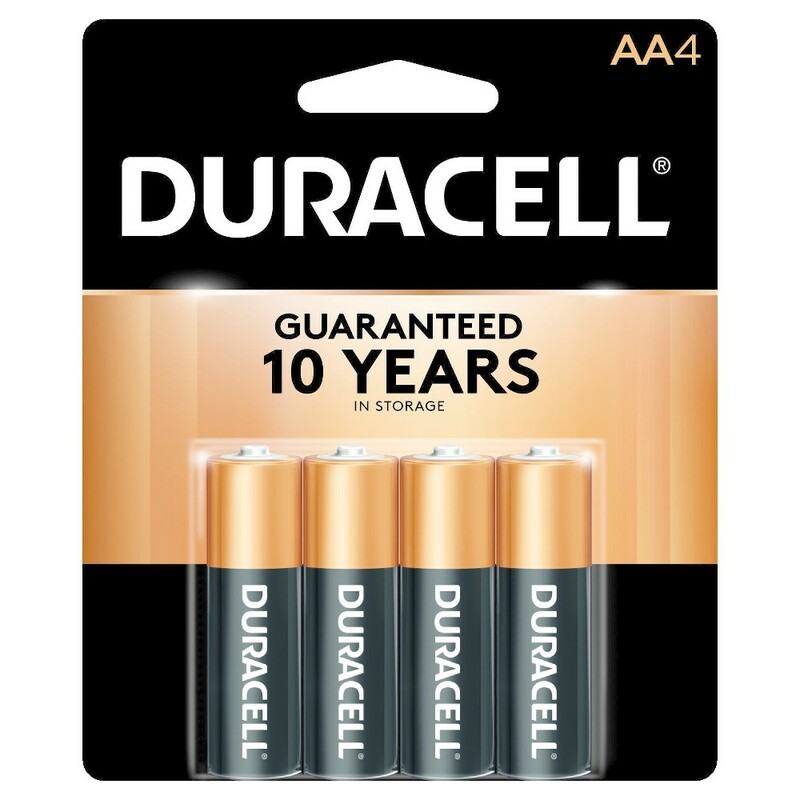 Package includes four CopperTop AA batteries and comes from a brand you know you can trust. 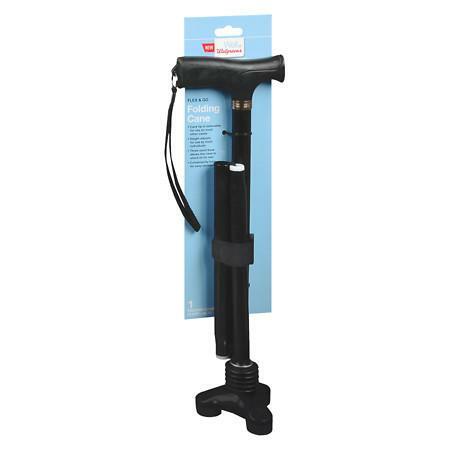 Cane tip is removable for use on most other canes Height adjusts for use by most individuals Three-point base allows the cane to stand on its own Conveniently folds for easy storage Made in China 100% Satisfaction guaranteed with all Walgreens products or your money back.